Inside: on your little Buffalo Prince. 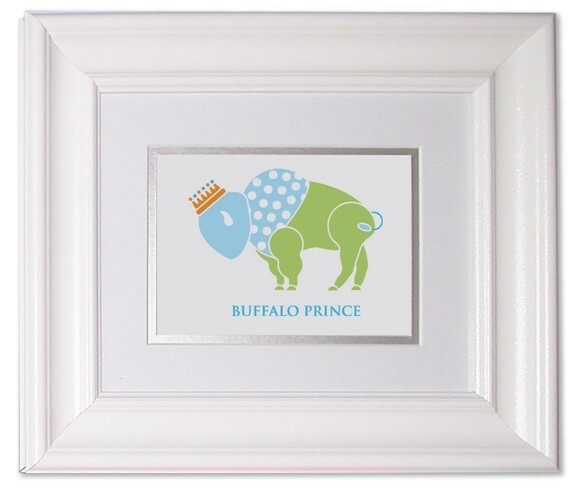 Is there a little Buffalo Prince just born recently in your life? Well this card is perfect to congratulate the family with. 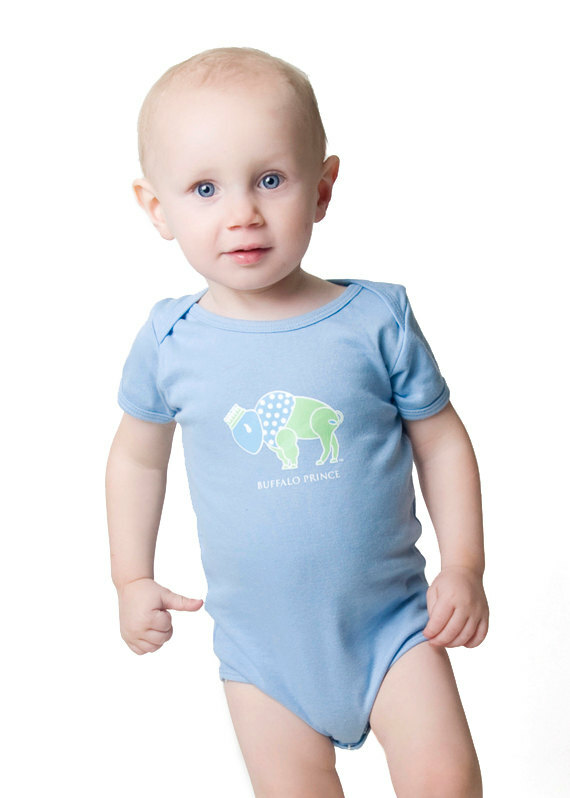 Buy the matching onesie for a perfect gift! This card can be for someone from Buffalo, NY or Buffalo, ANYWHERE because there’s no mention of the state. It’s digitally printed on 100# white, satin finish, cover stock then trimmed, scored and folded. Dimensions are 4″ x 6″. Comes with white A-6 envelope. 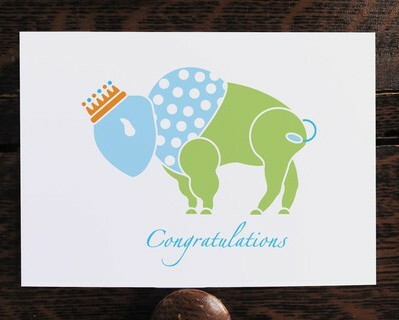 Be the first to review “Buffalo Prince Baby Congratulations Card” Click here to cancel reply.